What is your favorite kind of cookie? Why is it your favorite? Are any foods or other items associated with the area where you live? If so, what are they? If not, what items do you think should be recognized for their local appeal? Berger cookies are shipped all over the country. But for a long time, you could only get them in the Baltimore area. Do you think people would hold the cookies in such high esteem if they could pick them up at any grocery store in the country? Why or why not? In the article, Charlie DeBaufre admits that he could invest in new equipment but he prefers to have his employees hand-dip the Berger cookies. That's how the cookies have been made since the beginning. DeBaufre said he values the integrity of the cookie over additional profits. Do you agree with DeBaufre's decision? What would you do if you owned the company? 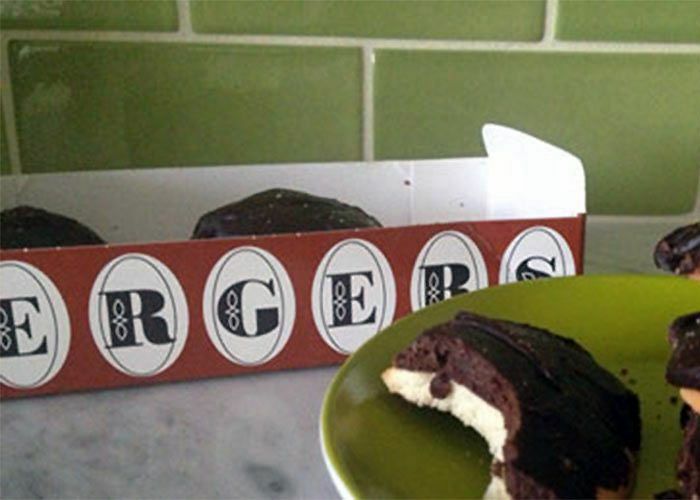 As a class, review the article to examine the origins of the Berger cookie. Discuss how something as simple as a cookie can become a symbol for the area where it was created. Point out that Baltimore's Berger cookie is not an isolated example. People often associate foods, including cookies, with specific places. And more than likely, there's an interesting story behind each one. Have students investigate the origins of one or more type of cookie. Instruct them to find a recipe as well as details about each cookie's history. Instruct students to compile the information they collected to create an informational page about cookies. Encourage them to include photos, drawings and maps that help tell their cookies' stories. Remind them not to forget to include the recipe. Combine students' work to create a cookie recipe book for the class. Make copies of the finished recipe book. Share the book with the school for the holidays. If possible, encourage students to bake batches of their cookies at home. Invite them to share the cookies as they present what they learned about the cookies' origins to the class. As a class, conduct research to identify one cookie that is associated with each continent (except Antarctica). Have students investigate to find a recipe and learn about the history of each cookie. Encourage them to create an informational page about each cookie. Compile the pages to create a brief global cookie recipe book. Divide the class into small groups. Assign each group one continent (except Antarctica). Challenge groups to identify up to three different cookies that are associated with their assigned continents. Encourage them to investigate to find a recipe and learn about the history of each cookie. Have students create an informational page about each cookie. Compile the pages to create a global cookie recipe book. Divide the class into pairs. Assign each pair one country. Be sure to select countries that represent each continent (except Antarctica). Challenge partners to identify one or two cookies that are associated with their assigned countries. Encourage them to investigate to find a recipe and learn about the history of each cookie. Have partners create an informational page about each cookie. Compile the pages to create a global cookie recipe book. Have students conduct research to identify a type of cookie that is often associated with a specific place. Review students' selections to make sure there are no repeats and to ensure that countries all around the world are represented. Once the ideas are approved, instruct students to investigate their cookies. Tell them to find a recipe and to take detailed notes about the origins of their cookies. Have students create informational pages about their cookies. Compile the pages to create a global cookie recipe book. This website from the Smithsonian Institution Traveling Exhibition Service, explores the history of American food from Native American traditions to modern regional cooking. It includes complete teacher resources, a “cookbook project” that allows students to search for recipes, a timeline and food recommendations from across the country. Read this Smithsonian article to learn how cooking classes are bridging the gaps between Germans and Middle Eastern refugees. Explore this online exhibit about Julia Child to learn about her profound effect on American popular culture, cooking and broadcast television. Use an interactive collection search to view selected objects from Julia's kitchen, browse an interactive storyline to discover more about Julia Child, her kitchen and her long love affair with cooking, and look around the entire kitchen as it exists on exhibit at the Smithsonian. Have you ever thought of baking with honey instead of sugar? If so, you might want to try this recipe from the Smithsonian Folklife Festival. Stop Ruining Your Christmas Cookies! Follow These Tips to Better Baking Read this Smithsonian article for a few pointers on making the perfect cookies this holiday season. Read this Smithsonian article to learn why the Food and Drug Administration doesn’t want you to eat raw cookie dough anymore.